How do I accept incoming employee applications for shifts? A red number in the left hand corner of a shift marks an edit in the schedule. Either there is a proposed trade or a staff member newly applied for a shift. Click on the desired shift. 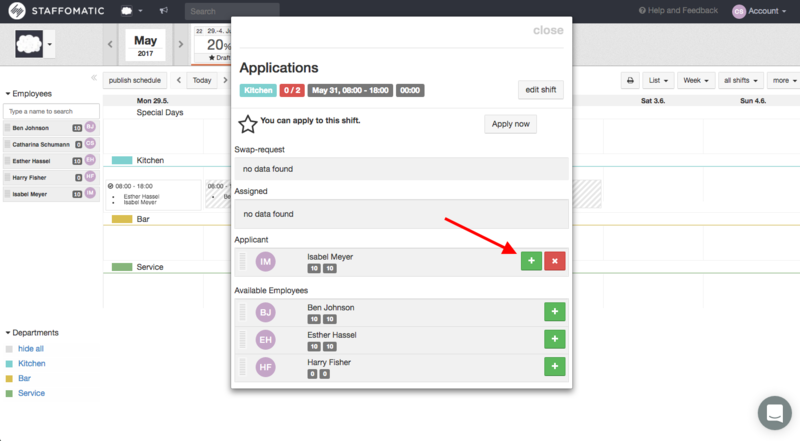 Drag & drop employees into that shift slot, or click on the green "+" button and they hereby accept the edit. All relevant employees will be notified via email by clicking on "send changes".